Welcome to all steemians we are steem-bot support team . We invite each one to follow this bot and waiting for our new free bot . This bot is a free upvote bot that anyone can be upvoted for free without send any amount . This bot is sepecially for steemians who don't had a good steempower to upvote themselves. This bot is relied to 100 other bot each one will deposited with 50 SP and delegated with more than 300 SP (just for the begin) , now 45.311% of the bots was finished . 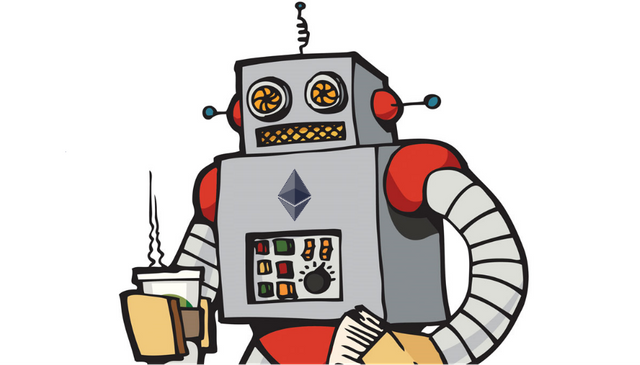 In the near future we had a plan to add 100 other bots for following steemians and get followed with 1500 follower and resteem steemians posts to grow up their accounts . If you had a question or idea to improve our services please leave a comment . If you want to support us you can sent to us any amount of STEEM or SBD (We will lease steem power with it) . Congratulations @steem-bot! You received a personal award!